Yeah, I set it up. It’s supposed to reach more people. 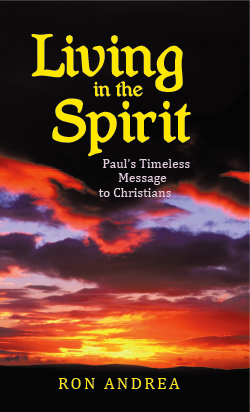 It’s also listed on goodreads.com at https://www.goodreads.com/book/show/22965740-living-in-the-spirit. I’ll post excerpts here one of these days. While I use the usual five star rating scale, I am more rigorous with my ratings in 2014. Previously, a book I liked got four stars, now it gets only three. I made that alteration so that my four and five star ratings really meant something. I don’t want to be one of those raters who gives only 1 and 5 star ratings, then whines because the scale is so resistive. I have no special credentials for reviewing books other than liking to read. I am a college graduate. I’ve read thousands (of documented) novels and hundreds of non-fiction books. I’ve attended half a dozen writing conferences as I struggled to learn the craft myself. I know from first-hand experience that it’s harder than it looks. Few of us can be Tolkiens or Rothfusses; in fact, I’d settle for producing the page-turning excitement of a David Weber space opera. Likewise, I have no special credential for reviewing movies; I probably see many fewer than the average American.